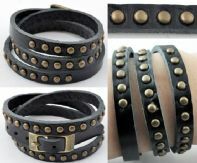 Black Leather Studded Bracelet . Blue Leather Studded Bracelet . 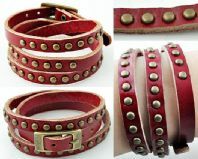 Red Leather Bracelet with Studs. 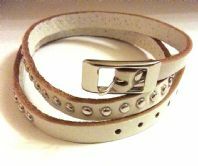 White Leather Bracelet with Studs.